How are Gundam Plastic Model kits made? Great video from youtube uploaded around 2007 which details how Gundam model kits are made. 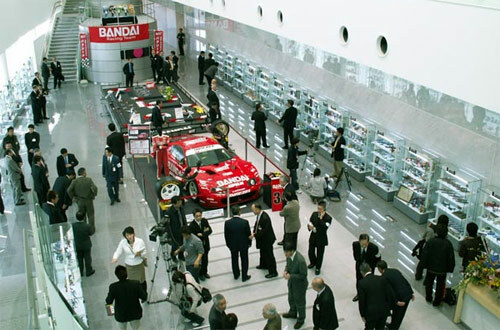 The video was taken at the Bandai Shizuoka Works in Shizuoka Japan. 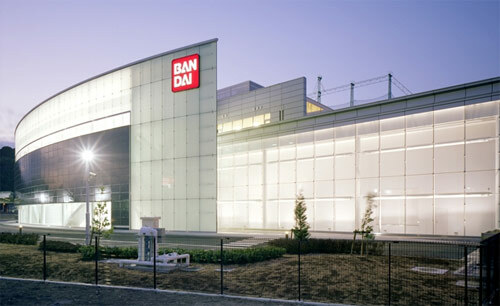 This is the factory where Bandai designs, creates and manufactures Gundam Plastic model kits, now they do that at the Bandai Hobby Center in Shizuoka. The video specifically shows how a 1/100 Aile Strike Gundam (ガンダム SEED 1/100 エールストライクガンダム) from the Gundam Seed series was made. Considering how old the Gundam Seed Series is already (2002~2003), we could also surmise that the video is a lot older than its youtube upload date. The documentary uses a 1/100 Aile Strike Gundam Box for dramatic effect, where one speaker passes it to another to signify the next step. In the first part, Kikuchi-san from the Design Development (企画開発) team explains that they first receive the line art from the animation company for them to base the design of the model on. They then enhance the drawing to bring out the details further as well as to fill in the missing details for the areas that cannot be seen. This section also handles the design of how the model kit breaks up into individual parts. The second speaker is Oda-san from the the same section. They convert the drawing to a CAD design to produce the interior data of the model kit in 3D. The 3rd speaker is Watanabe-san from the Metal Mold （金型） Team. The 3D data from the design team is fed into the center milling machine to make the Mold Masters. Although the process is automated and done by a machine it still takes skilled workers to polish, finish and enhance the detail of the Mold Masters. The next person is from the Manufacturing Team (生産), sorry but I can't understand his name. They handle the injection plastic molding machines which make the actual plastic model parts of the kit using the mold master from the Metal Mold team. Kobayashi san from the Design Development (企画開発) team again is the next speaker and explains the next step which is concept packaging and manual design. The design of the package is once again taken from the lineart and the 3D data. The last person to talk is Kazuchi-san(?) from the business strategy (事業戦略) team. He says that in a Gundam box you will see the plastic parts used to build the kit and mentions something about how long it will take to build a kit. In front of him were some other sized Gundam kits and he said that the method of production is basically the same for the different sizes. There was also this second video that I found in youtube that shows another production shot of a Bandai model kit being made in a factory. It was shot Music Video style, with the everyday sounds of the factory re-arranged to be the background music. I couldn't read the Japanese characters because the video is too grainy for my eyes, so I couldn't add anything else to the explanation of this video. But the great thing about it is that it shows the actual process all the way to packaging and shipment. For a more detailed step by step, check out their "how its made" page over at Bandai Hobby Center site.